According to a new study published in the Archives of Internal Medicine, a journal of the American Medical Association, use of cranberry-containing products (especially cranberry juice) does appear to help prevent urinary tract infections in some individuals — particularly in certain women and people consuming cranberry products more than twice daily. 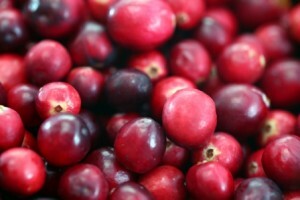 The authors of the new study reached their conclusions by reviewing and analyzing the findings of 13 previous controlled trials, involving 1,616 participants, which compared incidence of urinary tract infections (UTIs) in users of cranberry-containing products to incidence of UTIs in persons not consuming cranberry-containing products or consuming placebos. The new analysis, conducted by Chih-Hung Wang, M.D., of National Taiwan University Hospital and National Taiwan University College of Medicine, and colleagues, was published in the July 9, 2012 issue of the Archives of Internal Medicine, a journal of the American Medical Association. Urinary tract infections (UTIs) are common bacterial infections to which adult women are particularly susceptible. Cranberry-containing products have long been used as a “folk remedy” to prevent the condition, according to the study background. “Urinary tract infection (UTI) is one of the most commonly acquired bacterial infections. Cranberry-containing products have long been used as a folk remedy to prevent UTIs,” the authors write in an introductory background section of the study. “Adult women are particularly susceptible to UTIs. Up to 40% to 50% of women will experience at least 1 episode of UTI during their lifetimes,” the authors state. “Approximately 20% to 30% of women who have had an infection will experience a recurrence with concurrent short-term morbidity,” they note. “Other groups with an increased risk of UTI include pregnant women, elderly patients, and patients with neuropathic bladder,” the authors write. “Cranberry (genus Vaccinium, including the species V oxycoccus, V macrocarpon, V microcarpum, and V erythrocarpum) has been used as a folk remedy to prevent UTI for many years,” the authors state. The authors indicate that the aims of their current study, “were to evaluate cranberry-containing products for the prevention of UTI and to examine the factors influencing their effectiveness,” through an updated review of all currently available medical literature on the subject. They identified 13 trials, including 1,616 individuals, for qualitative analysis and 10 of these trials, including 1,494 individuals, were included in quantitative analysis. Of the 13 trials selected for analysis, 10 were performed in North America (United States and Canada), and the other 3 were conducted in Europe (United Kingdom, Finland, and Italy). All but 1 of the trials followed subjects living in the community. Using qualitative and quantitative statistical analysis, the researchers examined the pooled findings of the 13 controlled trials. As part of their analysis, based on the data presented in the trials, they further categorized each study population into the following subgroups for subgroup analysis: women with recurrent UTIs, elderly patients, patients with neuropathic bladder, pregnant women, and children. The researchers found that “the random-effects pooled risk ratio for cranberry users vs. nonusers was 0.62, according to the study results.” In other words, pooling all of the previous studies, cranberry users were 62% as likely as non-users to experience UTIs during the follow-up periods of the studies — meaning that the cranberry users were 38% less likely than non-users to experience UTIs during the follow-up periods. In other words, women who were experiencing recurring UTIs and who consumed cranberry products were 47% less likely to experience UTIs during the study period than those who did not consume cranberry products. Among all women study participants, those who consumed cranberry products were 51% less likely than those who did not consume cranberry products to experience UTIs during the study periods. Those study participants who consumed cranberry-containing products more than twice daily were 42% less likely to experience UTI during the study periods. The researchers did note that one of the previous controlled trials (conducted by Barbosa-Cesnik et al) included in their analysis found that “cranberry juice gave no protection against the risk of recurring UTI among college-aged women.” However, the authors characterize that previous study as “an outlier among the trials.” They note that the deviation of that study’s findings from those of the other studies may have been caused by various factors in that one study, including: (i) the nature of the study population; (ii) the fact that the control group were given a placebo containing ascorbic acid, which may also prevent UTI, according to the authors; and (iii) the fact that the definition of UTI used in that particular study involved a significantly lower bacterial count than those used in other studies, and therefore did not isolate or measure the potential effect that cranberry juice may have in preventing the more serious recurring UTI’s that have higher bacterial counts. The authors explain that they excluded this trial from their main analysis. “In conclusion, the results of the present meta-analysis support that consumption of cranberry-containing products may protect against UTIs in certain populations,” the authors wrote. “However, because of the substantial heterogeneity across trials, this conclusion should be interpreted with great caution,” they note. Of practical interest to women experiencing UTIs and wishing to try cranberry-containing foods, the authors also noted that their research results suggest that cranberry juice may be more effective in preventing UTIs than cranberry-containing capsules or tablets. “Cranberry juice was noted to be more effective than cranberry capsules or tablets in subgroup analysis. Since the volume of cranberry juice may influence the incidence of UTI, this result might be because subjects drinking cranberry juice were better hydrated than those taking cranberry capsules or tablets,” the authors wrote. Finally, “A better preventive effect from cranberry-containing products was noted with dosing frequency more than twice daily,” the researchers found. However, because the previous controlled trials examined did not define the dosage of cranberry-containing foods consumed by their participants in a standardized way, the present study “did not have the power to examine differences in incidence of UTI by cranberry dose,” the authors explained. As noted above, previous studies identified A-type proanthocyanidins (PACs) as compounds in cranberries with the potential to inhibit types of bacteria associated with UTIs. “The PAC content should be specified in future trials to allow differentiation of the effects of PACs on clinical response,” the authors recommended. “Also, consumers of cranberry-containing products should have access to this information when they buy products touted for prevention of UTI,” the authors suggested. Article Reference: Arch Intern Med.2012;172:988-996. The new study, “Cranberry-Containing Products for Prevention of Urinary Tract Infections in Susceptible Populations; A Systematic Review and Meta-analysis of Randomized Controlled Trials,” is available in its entirety in the July 9, 2012 online issue of the Archives of Internal Medicine, a journal of the American Medical Association.